The government and India's private hospital chains have strongly disagreed over the pricing of the 1350 procedures that the government plans to cover under the Ayushman Bharat (National Health Protection Scheme). Private hospital chains which have strongly opposed the price of treatment the government intends to pay them for treating patients under the Ayushman Bharat scheme should have little to complain since the government now plans to offer rates up to 40 per cent higher than the approved base rates. The government and India's private hospital chains have strongly disagreed over the pricing of the 1350 procedures that the government plans to cover under the Ayushman Bharat (National Health Protection Scheme). The scheme covers 10.7 crore Indian households for up to Rs 5 lakh per family per annum for secondary and tertiary care for life. This would cover nearly 50 crore Indians amounting to around 40 per cent of India's most needy. The scheme is to be unveiled on August 15 by prime minister Narendra Modi during his speech at Red Fort in New Delhi. The enormous additional volume of patients that the scheme will bring to the private sector has prompted the government to offer 10 per cent discount on existing CGHS rates since Ayushman Bharat covers general ward hospitalisation only while more private hospitals have other services as well. This has enraged private hospital chains which point to their employee and infrastructure costs saying joining Ayushman Bharat may not be viable for them. Their reluctance has prompted allegations that the private sector may be holding the government to ransom. 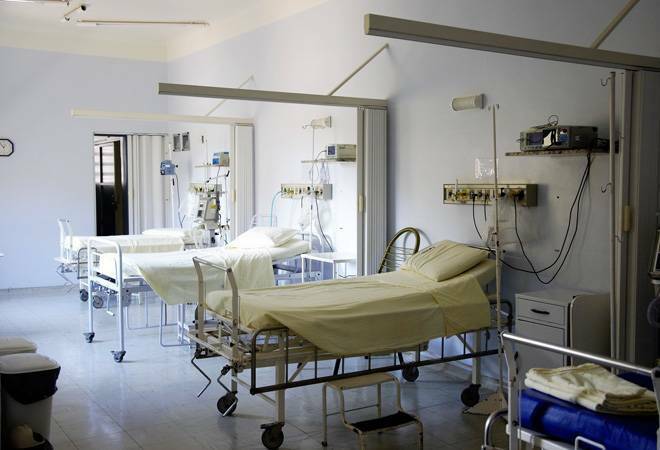 However, under the new pricing plan being put together by the government, They can get up 40 per cent higher rates for a procedure over the NHPS/CGHS prescribed rate provided they meet certain conditions: A hospital that is accredited with the National Accreditation Board for Hospitals (NABH) can add 10 per cent more to the base rate; hospitals providing PG courses can add another 10 per cent to the base rate; hospitals in the 115 backward districts can add yet another 10 per cent. Besides, all states have the freedom to provide another 10 per cent top-up to the base rate if they believe the prices are below the cost. As a result, any hospital that meets all the four conditions could add 40 per cent to the base rate pricing, according to Dr Vinod K Paul, the chief architect of Ayushman Bharat and a member of Niti Aayog. "Private sector is going to play an important part. Care would be provided by a network of public sector hospitals and empanelled private sector hospitals on agreed terms. This is a two-way engagement. Private sector is an integral part," says Dr Paul. He says the price of each procedure had been arrived at after a lot of research. The first part of research was by the Directorate of Health Services of government of India. Those rates were further refined after finance minister Arun Jaitley announced the scheme in the Budget. Additional vetting or validation took place at Niti Aayog with involvement of Department of Health Research. It used information from Tier II and Tier III cities apart of other data available on the pricing. It also looked at the experience of the schemes that are already in place in different rates. It also reached out to 60-odd hospitals directly for an idea of the rates and procedures. "It is an effort that is holistic. It is from a network that encompasses bottom up information of a very significant volume. At this moment because actual cost based studies are few, this was based on this kind of a bottom-up inquiry," says Dr Paul. "These rates are quite competitive with the states in which such schemes are running." What kind of an impact will higher rates have on the insurance premium to be paid by the government? The premium has not been defined. In fact, the premium for the scheme will be discovered when insurance firms will be bidding for the business. It is, however, believed that the premium will be far higher than the Rs 11,000-12000 crore estimated so far. "Today, leading private hospitals in India make efforts to offer value-added technologically advanced services by highly qualified specialists. The equipment used is one of the best as found in any international hospital. It would be helpful if the rates are equitable, allowing the hospitals to recover the costs incurred," says Dr Narottam Puri, Advisor - Medical, Fortis Healthcare Limited. "The Government should appoint an independent agency to evaluate and determine the pricing in each state. We understand that the Government is planning to rope in around 20,000 public-private hospitals under this scheme. Therefore, making an independent assessment, providing a rationale for the rates and working in a collaborative manner will help in the overall process."